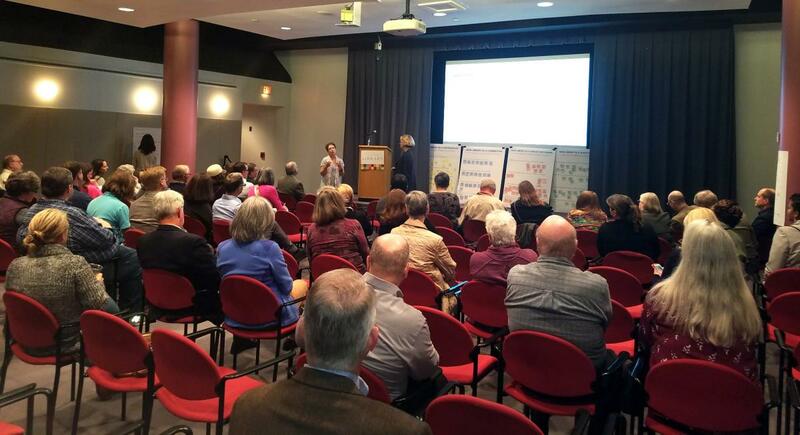 On Wednesday, November 29, 2017, the Charlotte Mecklenburg Library invited people to "Get happy about the future of Main Library" at a happy hour-themed Town Hall meeting. More than 100 interested community members heard from the architect team of Clark Nexsen, Snøhetta and brightspot strategy - and shared feedback on what they want to see in a new Main Library. The goal of the Town Hall was to "cast the net wide" and get the public's input on the new vision of Main Library as a "public commons." This vision was developed by the Library and MACHINE, with funding from the Knight Foundation, incorporating community input through focus groups and prototyping. 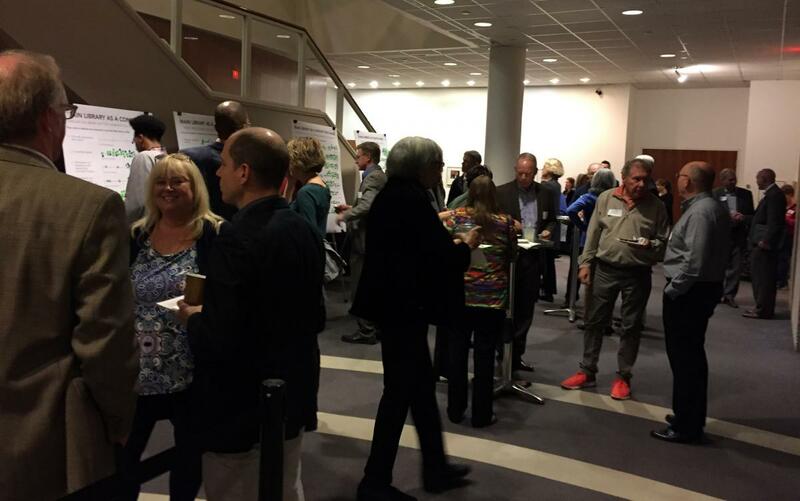 Before the start of the program, guests enjoyed refreshments and talked excitedly about the new Main Library. They were then encouraged to rank possible services and amenities from "Not Very Important" to "Very Important." After the rankings and a short presentation from the architect team, the crowd broke into four groups to talk specifically about what they wanted in a new Main Library. The groups then shared their conclusions with the rest of the audience. The architect team will incorporate this feedback into the space program for the new Main Library. More opportunities for community input will include a non-user survey, thematic worshops, and another Town Hall in February.